Editor’s Note: Another incredibly late article — apologies to everyone all around! We’re extremely limited on time! Last year, I had the good fortune of meeting with Jason Lim, co-founder and former CEO of Nuforce. Since leaving Nuforce (the company is now a subsidiary of Optoma), Mr. Lim has been busy. He founded Heap Venture, a holding company with a multi-pronged approach to home and personal audio. Aside from NuPrime, a direct vestige of Nuforce’s home audio products, Lim embarked on a completely new audio category with Celsus Sound. The bold, ambitious stated mission and purpose of Celsus Sound is the production of superior portable audio products for discerning music lovers, setting quality above all else. As the pilot brand of Heap Venture, Celsus Sound is focused on the premium market and it has attempted to do so with the Companion One. 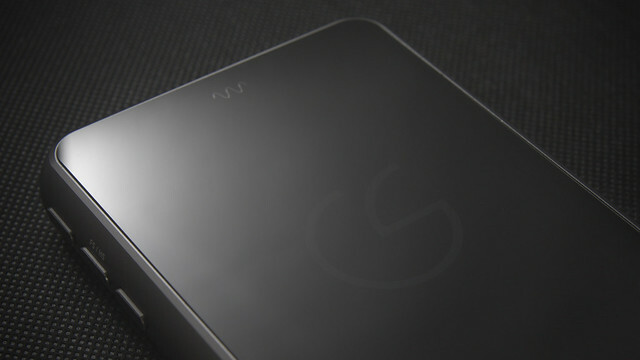 For example, solely in terms of build, the Companion One is milled from a single ingot of aluminum, with top and bottom covers cut from Corning Gorilla Glass. The Companion One is the first of a new wave of wireless portable DAC devices. The main trick up the sleeve of Celsus Sound, however, doesn’t involve the outer appearance of its products, but rather the inner guts. When it came out in the middle of last year, the Companion One was the world’s first portable DAC device to wirelessly stream high-resolution audio (up to 24-bit, 192 kHz) over wireless networks. While other devices have since attempted to bridge the gap, the Companion One came first, and it’s what we’ll quickly highlight here. Thus, this wireless streaming module, together with a 32/384 and DSD-cable USB receiver (SaviAudio is mostly known for its USB receiver modules) form the streaming digital heart of the Companion One. In turn, digital-to-analog conversion duties are handled by the now-ubiquitous ES9018K2M two-channel chip from ESSTech, kept pace by dual low-jitter oscillators (one for 44.1 kHz multiples and the other for 48 kHz multiples). The result is a very respectable >115 dB(A) SNR under a 10 kΩ load. As for the analog end, the Companion One employs the OPA1612 for I/V conversion and the AD8397, doubling in duties for both voltage gain and current buffering. Celsus claims that the unit’s signal path and headphone amplifier circuit have been “painstakingly optimized for maximal headphone performance. ” The result is actually pretty impressive, pumping out detailed but liquid audio. The Companion One, paired with Celsus Sound‘s Gramo One earbuds. Setting up audio streaming via USB is as easy as plug and play, whether it be from my main mobile companion the Apple iPhone 6, or from any Android device. The sound quality, as mentioned, is great. I did experience a snafu during the latter stages of my loaner experience where an accidental press of a weird combination of keys tripped off the USB functionality, but the majority of the time, pairing mobile devices with the Companion One has been a breeze, and Celsus Sound provides Lightning, 40-Pin, micro-USB, and regular USB cables for connecting your devices — keyed for easy recognition, and no CCK or extra dongles necessary. The Bad: How Minimal is too Minimal? I can appreciate a nice minimal design aesthetic. The Companion One might resemble an oversized smartphone and these days smartphones don’t have many buttons to them, but this thing is still a DAC and the Companion One is just a toggle or two shy of a good user experience. Why use a button for selecting between wi-fi and USB, or between infrastructure and access point mode, when a toggle is far more intuitive? Alright, let me hit you with the bad news. The really bad news. The wireless streaming function has problems. And when I write, “problems,” I mean the kind that will occasionally stutter your audio, color it with clicks, and lag hard enough to make a gamer break down in tears. Whether it is thru access point mode or client mode, via iOS AirPlay or Android DLNA, the latency from input action to device reaction is about 2-3 seconds. So that means that watching a YouTube video on your smartphone will not have synchronized audio, and skipping tracks as well as changing volume on iTunes is a waiting game. Furthermore, streaming over Windows is not straightforward, unless you’re running iTunes’ AirPlay function, rather than DLNA via Windows Media Player. However, even AirPlay via Windows has issues, as volume will reset every single time you restart the program — the Companion One doesn’t seem to store volume data in memory for some reason (even though it does so through wired USB playback). If you’re using a sensitive earphone, don’t have them in your ears when you press play, lest you expect to be blasted with ear ringing SPLs. So yes, to say that Celsus Sound has some kinks to work out with the streaming aspect of the Companion One‘s functionality is to be kind. At the same time, Celsus is not the only company with lag problems; even the insanely expensive Astell&Kern AK320 and AK380 have had issues with lag upon playback with its AK Connect app, though the problem isn’t as severe. For all its issues, the Companion One does get the distinction of being the first device to pull off this wireless streaming capability — perhaps it is Celsus‘ way of navigating blue oceans, but I have to applaud Jason Lim for taking a risk and releasing products that few others are considering. I mean the kind that will occasionally stutter your audio, color it with clicks, and lag hard enough to make a gamer break down in tears. So let’s get on with the good news. The Companion One is 100% firmware upgradable, and all of these problems are solvable via software updates. The hardware is fine. The software isn’t — yet, especially when you’re a small company attempting an ambitious endeavor to stream both via AirDrop and DLNA on both desktop and mobile devices. The bottom line is that the Companion One, as cool as it is, is not quite ready for wireless primetime. 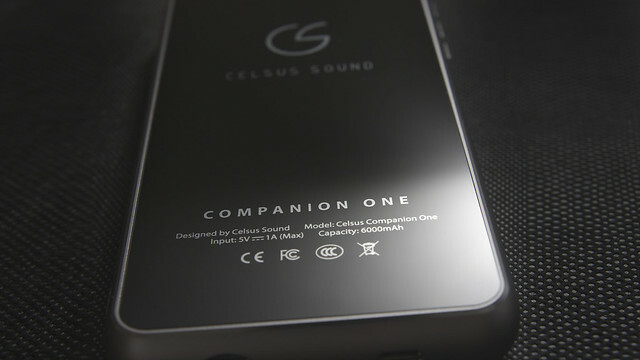 If you must get the Celsus Sound Companion One, get it first as a traditional portable DAC/amp. It works seamlessly with iOS and Android, as well as OSX. There are driver issues with Windows. There are more serious and crippling issues with wireless streaming. But it works well as a DAC, and the wireless capability will come along soon enough.